Nazareth College's adjunct faculty voted overwhelmingly today to join Service Employees International Union (SEIU) Local 200United. Adjuncts who taught in the 2017-2018 academic year voted 3-to-1 in favor of unionizing, a clear majority. Nazareth adjuncts held a rally earlier this year in favor of joining a union. Efforts to join SEIU began about a year ago. Earlier this year, an organizing committee submitted a petition to Nazareth President Daan Braveman and a rally drew support from many Nazareth faculty members, students, and some local politicians. 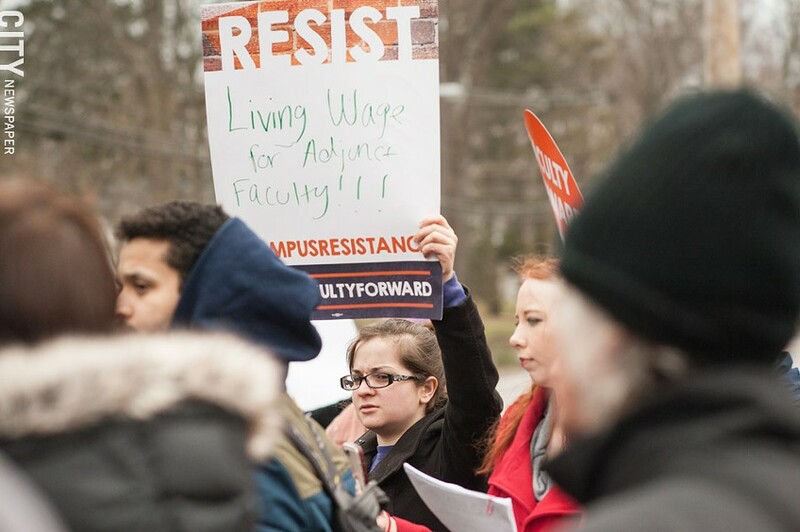 Adjuncts complained that they had no job security from one semester to the next and that even though many hold advanced degrees, they could not earn a living wage. They also argued that students were being short-changed because they pay for a private school's tuition but receive instruction from many part-timers. But Nazareth's administrators said earlier this year that the institution is not overly reliant on adjuncts and that adjuncts allow for flexibility in staffing for programs that often change. And, they said, the college may need adjuncts for specific and limited types of instruction. The next step for organizers will be to determine priorities to take to negotiations in the fall.